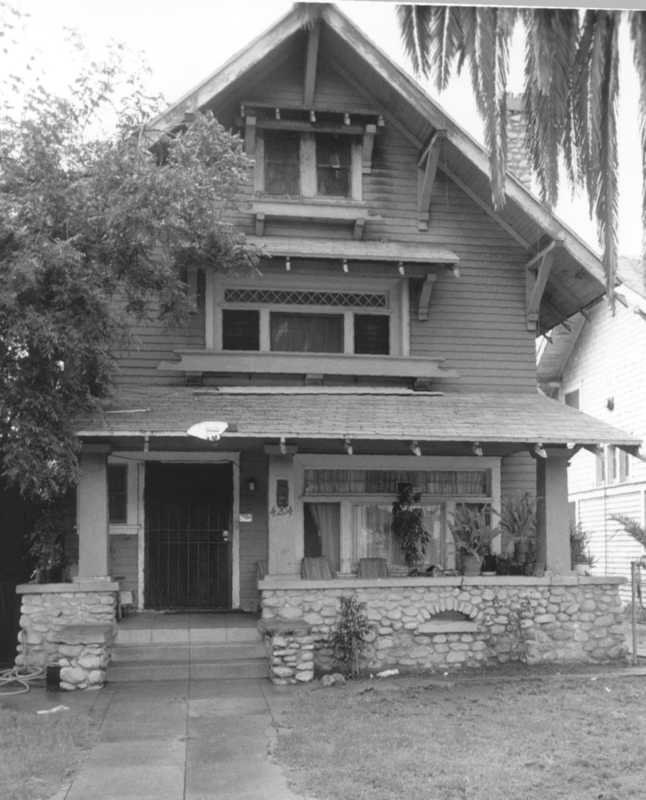 This Craftsman house and the neighboring house (Ivar I. Phillips Dwelling, HCM #469) were constructed by Ivar Phillips in 1907. The neighboring house served as a model home, presenting a first-hand view of an affordable Craftsman home available from the builder. Design details of the Ivar I. Phillips Residence include arroyo stone, flared eves, scroll-cut rafter ends, shingles and beveled siding.